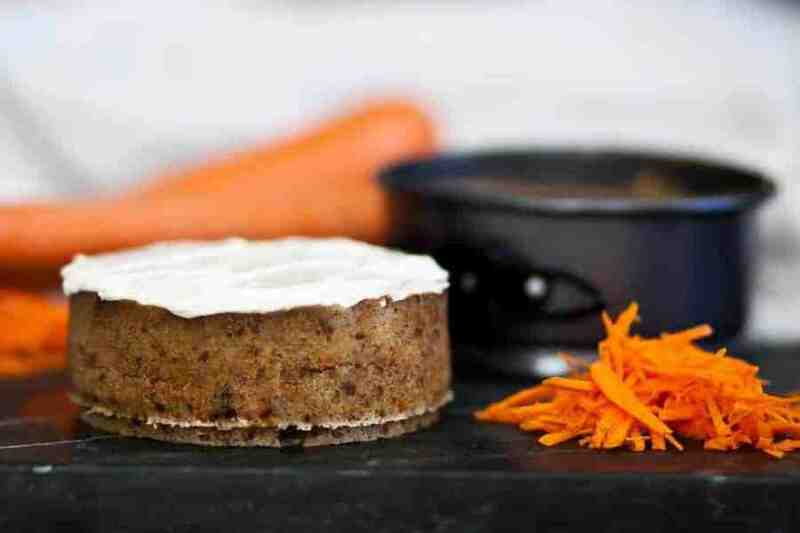 So I created this AMAZING Keto Almond Carrot Cake which was also Gluten-Free. It is without a doubt, the best Keto cake I’ve ever created. That may not be saying a lot since I’ve struggled with keto baking until recently. But last week was a bumper crop with the Keto Almond Cake, the Keto Ricotta Lemon Poppyseed Muffins, and the 5-ingredient flourless chocolate brownies. It is, however, Summertime in Texas and leaving the oven on for 40 minutes doesn’t sound so appealing. 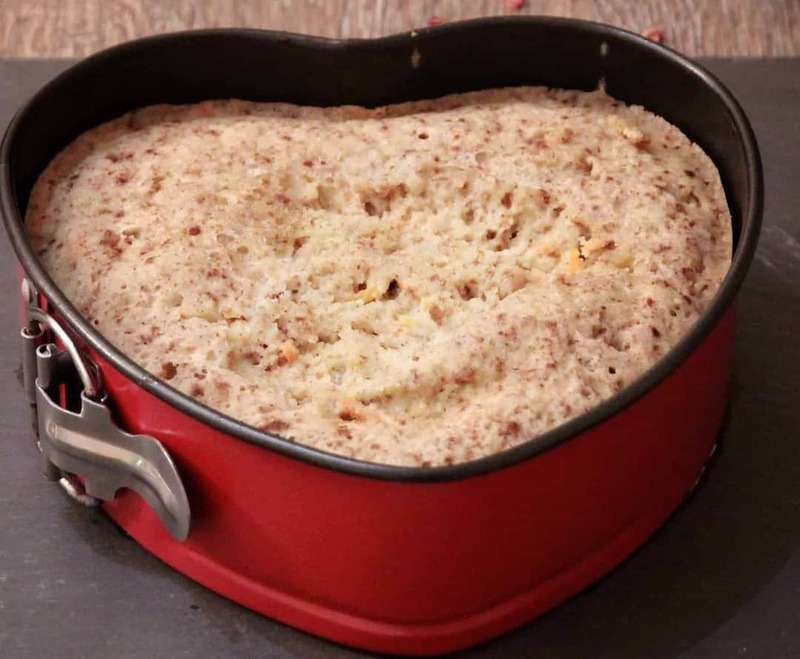 I had made another Instant Pot Keto Gluten-Free Almond Flour Cake a while ago, but I wanted to try one with carrots, walnuts, and cream cheese. So I went to work again and created this last night. 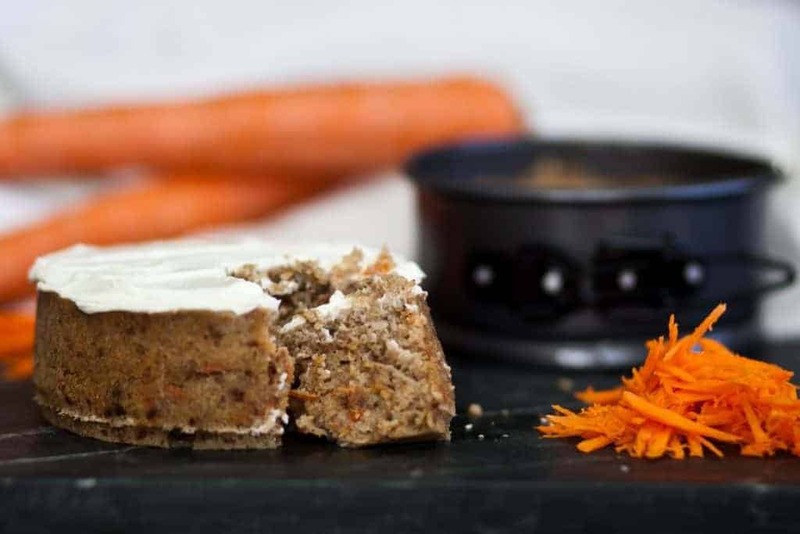 Okay, this pressure cooker Keto Carrot Cake isn’t pretty as the baked version and it doesn’t taste as “baked” as the baked version, because duh! That one tastes “toastier”. But I do like not having to heat the kitchen and house for 40 minutes, so I’m posting this as an alternative for times you don’t want to use an oven or don’t have one, such as in your RV, or dorm, etc. I’ve included a picture of the “naked” cake so you can see what it looks like without the icing. But fortunately for us, it tastes fabulous, which is what counts, since it’s always possible to pretty it up. Oh, and I used this pan which fits in my 5 qt Duo and my Ultra really well. Also the fact that I’m showing you the stark reality of the naked cake further cements my “I’m not a professional blogger” status. No professional blogger worth her cake would show you this un-iced cake 😀 But hey, you need to know, so you can decide if you’re okay with it plain, or if you want to pretty it up. As to what I used for icing, I have a confession. It was 10 pm by the time the cake was done and I was tired and wanted to go lie down. So I used ready-made flavored cream cheese (maple and pecan) which is probably not low carb. I’ll make a proper low carb icing soon and post that. Check out my little friend Sam from www.plateartforkids.com making this cake in the recipe card below! She’s got a whole host of other cute videos you need to check out. 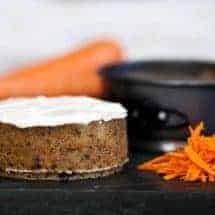 Make a Keto Gluten-Free Carrot Cake in your Instant Pot or pressure cooker. Perfect for days you don't want to heat up your kitchen. Grease a 6-inch cake pan. Mix together all ingredients using a hand mixer, until the mixture is well-incorporated, and looks fluffy. This will keep the cake from being dense as almond flour cakes can sometimes be. Pour into the greased pan and cover the pan with foil. In the inner liner of your Instant Pot, place two cups of water, and a steamer rack. Place the foil-covered cake on the trivet. Press the CAKE button and allow it to cook for 40 minutes. Allow the pressure to release naturally for 10 minutes. Release remaining pressure. If you don't have a cake button, just set your pressure cooker for 40 minutes at high pressure. Let it cool before icing with a frosting of your choice or serve plain. You can sub sweetener of choice for the Swerve. Must this have heavy cream or could half and half work?